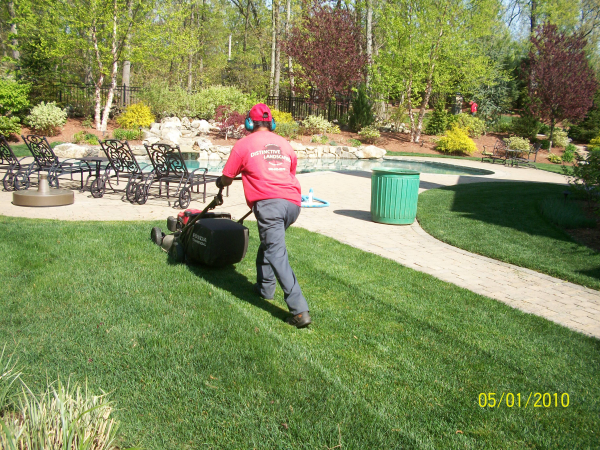 It is common knowledge that the Northeast is the only part of the country that bags grass clippings and this North Attleboro Lawn mowing company is no different. It’s the classic debate when it comes to lawn care. Do you mulch your lawn grass clippings or bag them? Ask just about any professional and you’ll receive a variety of answers and reasons for each person’s choice. Each option comes with advantages and disadvantages you should consider. Some weeks you might want to mulch and some weeks you might want to bag. Let’s look at the two options. Lawn mowers on the market today make mulching your grass clippings much easier than it used to be. A good mulching lawn mower will cut your grass clippings into small enough pieces to benefit your yard without causing problems. Allowing the grass clippings to sit on the lawn helps the grass retain moisture and puts valuable nutrients into the soil! Mulching is considered a “green” option as well because you aren’t putting valuable organic material into the landfill. In fact, many cities prohibit dumping grass clippings with the trash. Bagging your lawn clippings didn’t really become popular until the development of gas-powered mowers with bag attachments came along. These mowers often produced larger clippings that didn’t settle as easily into the lawn but rested on top of the lawn instead often resulting in poor aesthetics and excessive clean up. Bagging clippings will fully prevent the development of this lawn problem. Raking and bagging clippings from time to time especially in wetter months can be beneficial in the Northeast to avoid poor quality cut. You may also want to bag if you have an older lawn mower. So, there is no right answer in the great grass clipping debate. Choose the method that works best for your life and your lawn or feel free to stay neutral and do both. Happy mowing! Please comment and share your technique!